Day 262 – What the mouth wants.. I had every intention of sleeping in this morning. I had the bed to my self and the fur critters were happily snoozing but in the wee hour of the morning I rolled over and want just about back to sleep when two words popped into my head… breakfast pizza. 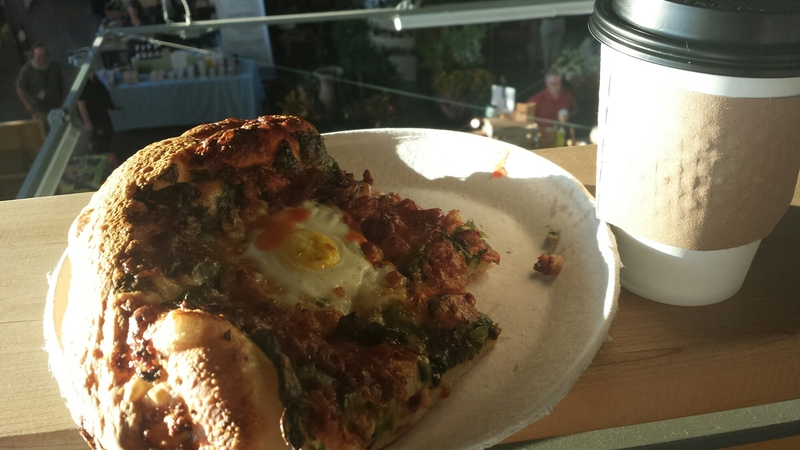 Needless to day by 7am I was at the market to get a slice of Bermosa breakfast pizza fresh from the oven. It was delightful. I can always try sleeping in tomorrow. I was in a serious COMFORT FOOD kind of day. 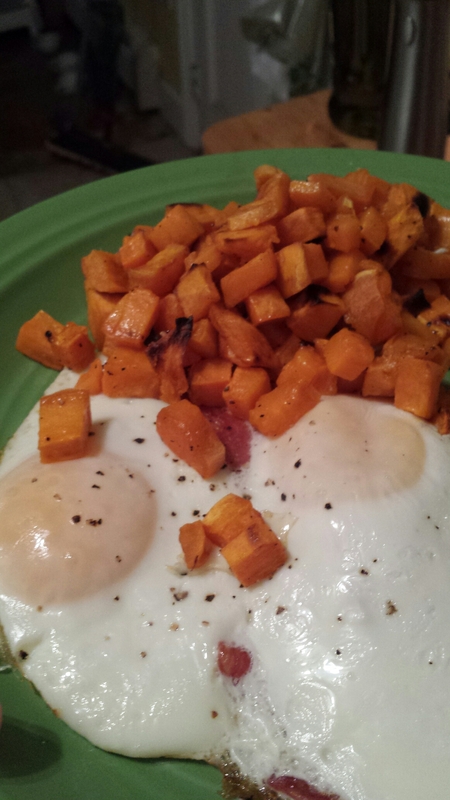 Breakfast for dinner and some Netflix. Friggin’ hump day. 99 problems but THIS ain’t one!